On November 11, 2008, the Kelly Writers House hosted a program called “William Carlos Williams and the Women: The Legacy of WCW at 125.” Sarah Dowling, Jena Osman, Pattie McCarthy, and Michelle Taransky. Here, above, is a portion of the video recording of this event — Jena Osman’s talk on sentimentality and objectification in Williams’s imagism. 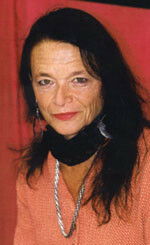 Chip started teaching at Temple University in 2001. His office is next door to mine, so I know he gives great phone interviews. And I know that no matter who wanders in looking for him — whether an eager fan or a teenage student who hasn’t yet read any of his works — they will receive the same enthusiastic greeting and invitation to come in and sit down. No matter how busy he is, he can always make time to talk about literature. For a few months in 2014, the Los Angeles County Museum of Art presented a small exhibition of photographs by John Divola titled As Far As I Could Get. The exhibit encompassed one square room presenting prints from four different photographic series. In the title series, As Far As I Could Get, Divola has placed his camera on a tripod and set the shutter on a ten-second timer. As he starts the exposure’s countdown, he runs off into the distance marked by the camera’s gaze. 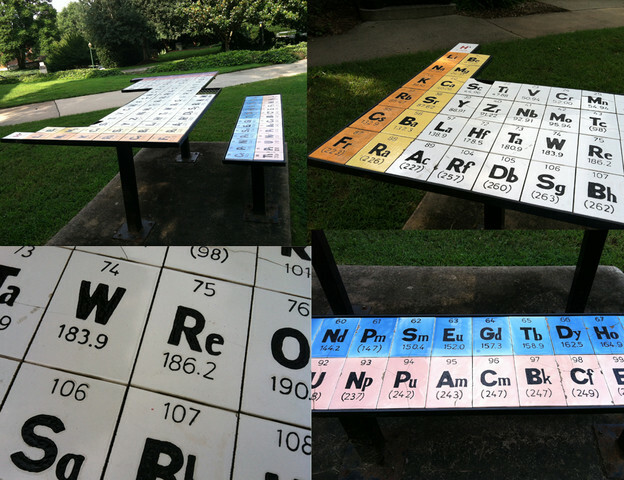 Pictures I took of the Periodic Table of Elements picnic table outside of the Chemistry Department at Wake Forest University. In 1869, the first version of the Periodic Table of Elements was created by Dmitri Mendeleev to illustrate the known chemical elements of the time and predict new ones. Elements are distinguished by having a single type of atom, and as they are discovered by scientists, the table grows. But what of the elements classified and discovered by poets, elements not made of atoms but language? 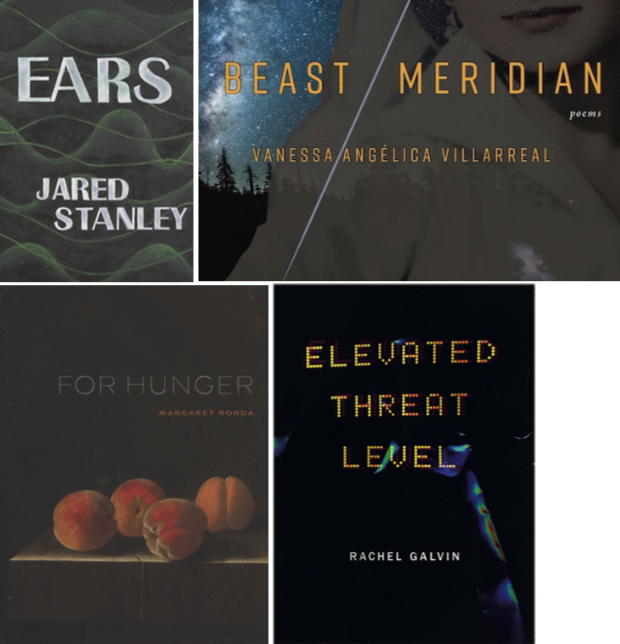 Is poetry a kind of periodic table of language where poets chart, predict, and make elements as alchemists? Perhaps the P.T.O.E. is itself a P.O.E.M. 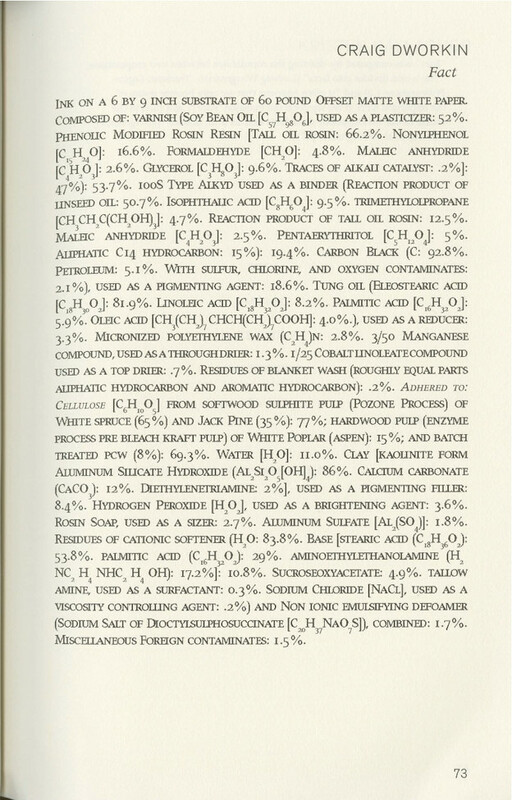 One under-acknowledged and yet groundbreaking phenomenon of our time is that, in addition to some poets responding to science as a way to think about language, poetry, and science in more novel ways, some poets are practicing science by making poetry and therefore making something else from practicing both science and poetry at the same time. 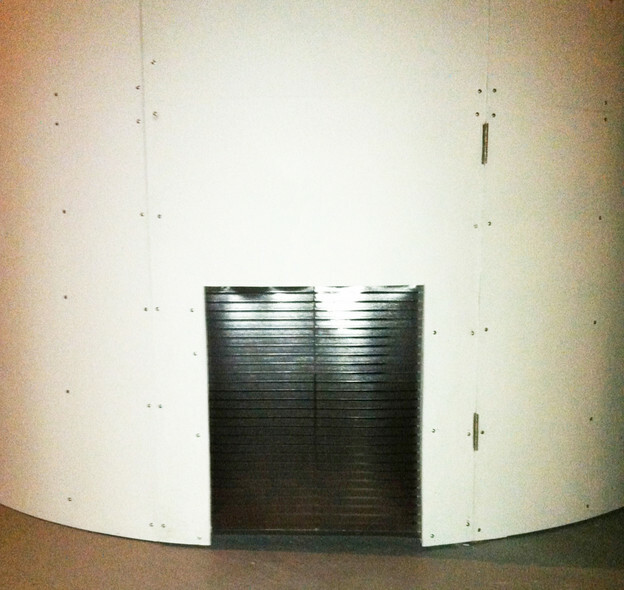 The dog door on the observatory projecting a live-feed of the dog star Sirius from a telescope mounted on the roof of The Franklin Institute. From Demetrius Oliver's installation, Canicular, at The Print Center in Philadelphia. It is not every day that after your science-informed literary reading, you, the other writers who read science-informed work, and the audience for the event climb through a dog door into a small, astronomical observatory that was constructed in the art gallery where the reading took place to see a live-feed projection of the dog star Sirius — the brightest star in the night sky and so nicknamed due to its containment in the constellation, Canis Major — from a telescope mounted on the roof of a nearby science education center. To mark the occasion of the digital reissue of Big Allis, editors Neilson and Grim have written the following introductory notes alongside commissioned reflections on the magazine by designer Jean Foos and a few of the magazine’s many contributors. 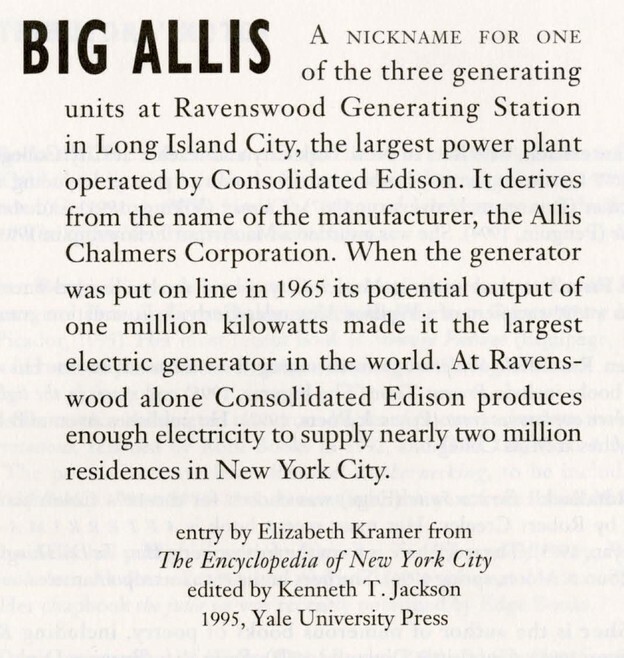 The idea of bringing Big Allis to a new readership occurred to me one summer afternoon last year while combing the Jacket2 Reissues archive. I am grateful to Danny Snelson for deeming Big Allis worthwhile to “go big” and be added to the J2 bill. Danny and Amelia Bentley have been artful and meticulous with getting Big Allis safely stored in a user-friendly repository. 1) In the final issue of Chain, you note that the intellectual (and actual) climate in Buffalo prompted you to begin the magazine. The first issue — one of only three edited while you were both in Buffalo — presents a brilliant response. Originally slated to publish writing by women, Chain no. 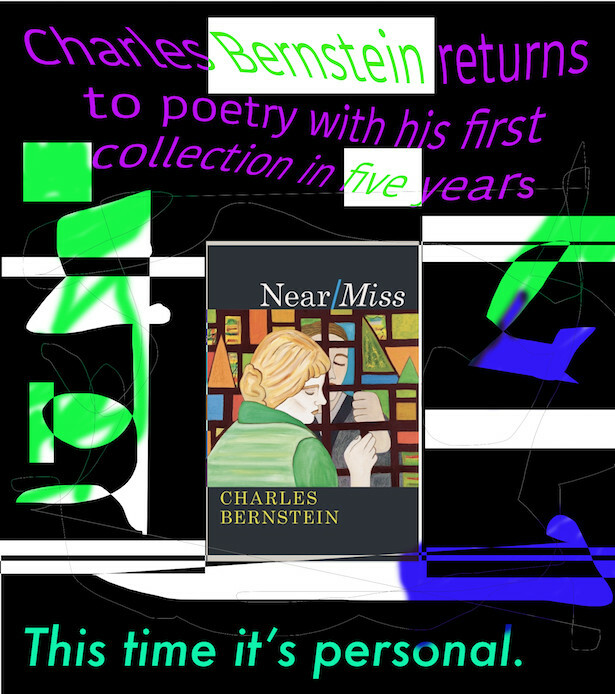 1 features an editorial forum on editing magazines, a transcription of a panel on the ethics of small press publishing, and a series of poems composed via chain letters. Perhaps we can begin with a conversation on your plans for this first issue. What role did you see Chain performing in the poetics community at the time, in Buffalo and further afield? 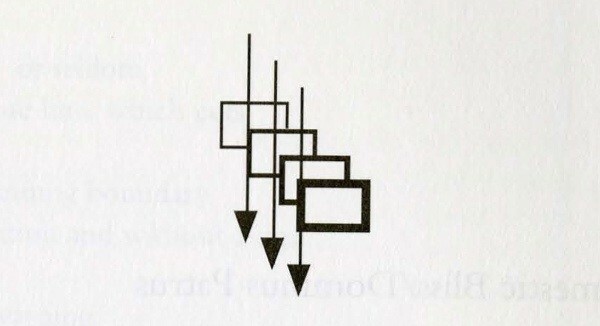 It is impossible to make a frameless frame (although that is the vision from which this project derived). We have instead begun the journal with a forum that takes a look at how and why journals are created and in what ways questions of gender have informed those decisions. It sounds absurd to edit a journal that's about the editing of journals — a nightmare of self-reflexivity — and yet it is a way of creating a body that shows its own skeleton. How do the preliminary editorial statements from the first issue read to you now? Opening with this intensive self-reflexivity, in what ways did surveying experienced editors inform your own editorial position(s)? In response, I was cheered to learn that these questions in particular were addressed in a short statement the editors penned for OEI magazine. We've decided to reproduce that document in full here. The statment can be read as a retrospective introduction to Chain from the persepective of 2008, resurfacing along with the magazine online today. 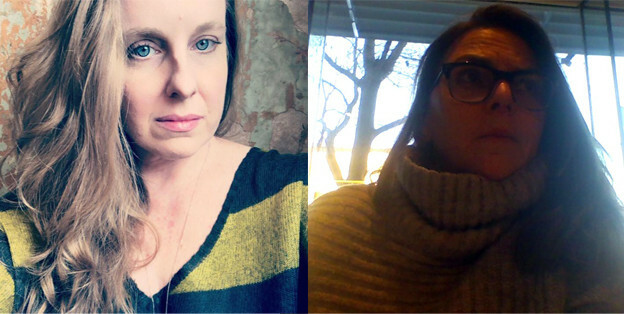 In the final issue of Chain — which I am thrilled to launch on the newly redesigned Reissues platform — editors Juliana Spahr and Jena Osman begin by sharing some facts about the magazine. Perhaps the best summary of the journal's output, I'd like to reproduce “Some Facts About Chain” in its entirety here. You can find the full issue — placing this segment in conversation with the contents of the “facts” issues of the magazine — here. Some Facts About Chain . . .
Total number of pages printed: 3,712.